CBS News briefly added the word “fury” to its Florence coverage branding — a move that placed it similar to NBC’s naming. 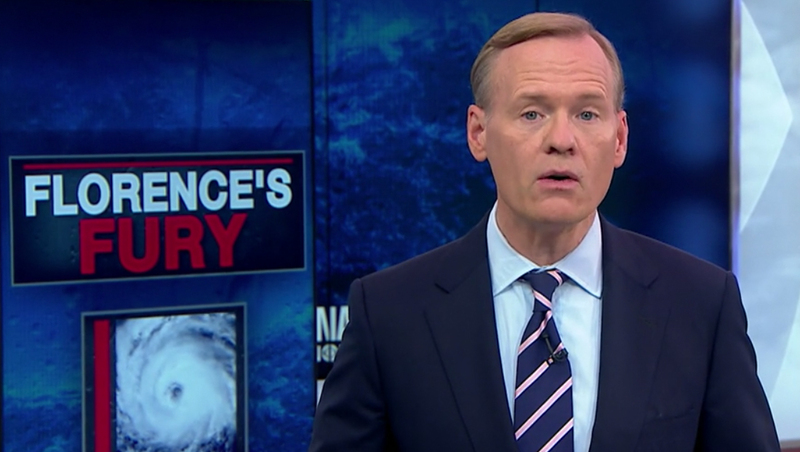 The “Florence’s Fury” branding appeared at the top of the network’s Sunday morning public affairs show “Face the Nation,” when former host John Dickerson, substituting for current moderator Margaret Brennan, updated viewers on the storm. On Saturday, Sept. 15, 2018, NBC News switched to using the banner “The Fury of Florence” after the storm was downgraded to a tropical storm. It has since been downgraded to a tropical depression. 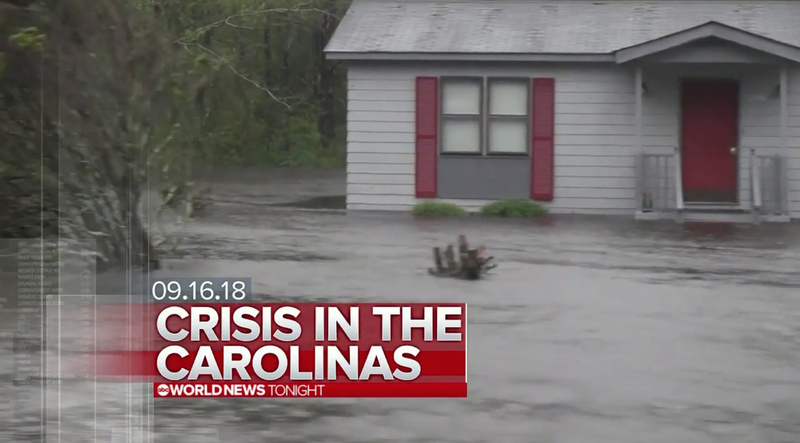 ABC switched to using “Crisis in the Carolinas” Sunday evening — a name that, while wonderfully alliterative, could quickly become outdated as the storm moves out of the region. “CBS This Morning,” meanwhile, switched to informally branding its coverage as “Florence’s Devastation” as of Monday morning.